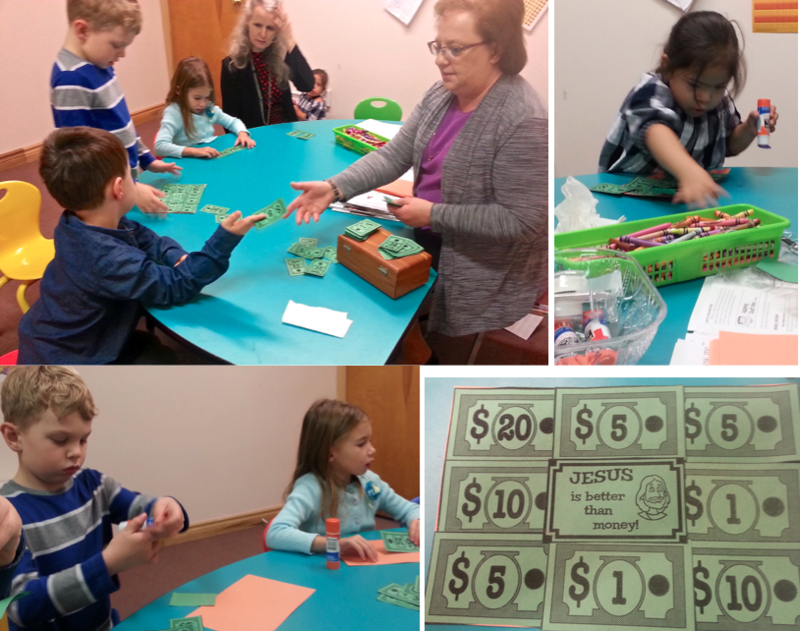 In an October lesson, the children learned about how Jesus taught the tax collectors right from wrong. Children's Church is a weekly Sunday morning program that runs during the second half of the worship service, from 11 until noon. Those attending Children's Church learn a Bible story and perform an activity to reinforce what was learned. A nutritious snack is always served. Crafts and games are often part of the lesson giving the children an outlet for both their creativity and their energy. Helper Debra Pedersen, leader Sharon Davidson and helper Tanya Vivian show off their Halloween costumes along with children Gabriel Cowan, Ayden James, Hunter James and Joshua Vivian. Super Kids, held each Thursday evening from 6-7:15 p.m. at Marmora Pentecostal Church, is a night of fun for children in SK through Grade 6. The children learn about Jesus, play games and do crafts before ending the evening with a delicious snack. Each year, the kids enjoy a Halloween party and a Christmas party with treats and prizes. Some of our Super Kids dressed up for our Halloween party. We had two Black Panthers and one Batman. Pictured on the right: Ayden James clowns around with pieces from his craft. The children, including Adam Morrison and Hunter James, enjoyed a special Halloween treat of cupcakes and ice cream. Pictured on the right, is Debra Pedersen helping Joshua Vivian glue his car craft together. Charge is held Wednesday nights at Marmora Pentecostal church for youth at 6:30 p.m. Led by Tabitha Spicer and Tracey Derry, the group is open to those Grade 7 and up. Each Wednesday, the youth have a Bible study followed by fun activities. Marmora Pentecostal Church hosts a Vacation Bible School each August. ​It is open to children from the community from those starting JK through to Grade 6. With a fun, new theme every year, the children learn about Jesus, play games and do crafts and experiments. A fun snack is also served.